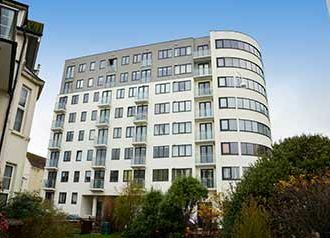 We Make Buildings Look Brand New in Margate Clean Render or Your Money Back! Looking For Render Cleaning In Margate? Our Purple Rhino professional render cleaning service will freshen up and dramatically clean the exterior render on any building. 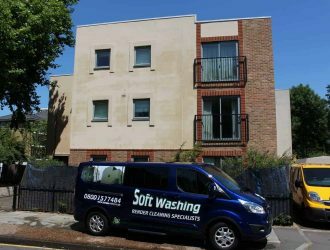 We’re dedicated to making your render look fantastic and banishing grime and dirt forever. Find out what we can do for you and give us a call on 0800 157 7484 . As well as a no obligation quote we’ll give you a FREE test sample clean too! 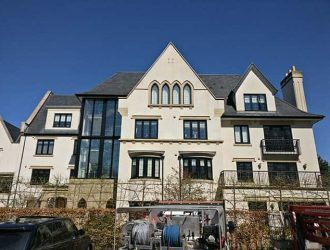 With over 30 years of experience, we are experts at what we do and we transform render on buildings of all shapes and sizes. 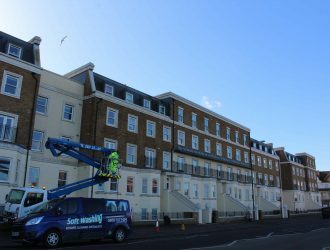 Our render cleaning in Margate covers both commercial and residential, from schools to homes and factories. We’re even the preferred render cleaners for blue chip companies in the area – ensuring a perfect clean every time. Whether is smooth render or flat, pebble dash or rough cast, our expert team will restore all renders to their original clean and shiny state. 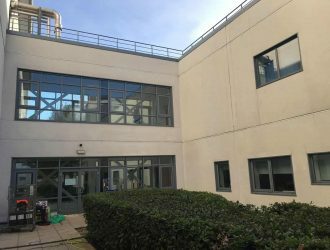 A delicate yet thorough clean using high tech ‘soft’ steam cleaning equipment to carefully clean and put the sparkle back into your building. First we’ll come to you and assess the need of your render – every building has a different requirement of course. Then our team will get to work with our specialist ‘soft’ cleaning steam system. Using very hot steam, we’ll remove moss, algae or other matter from your wall and prevent it from coming back by killing off spores. 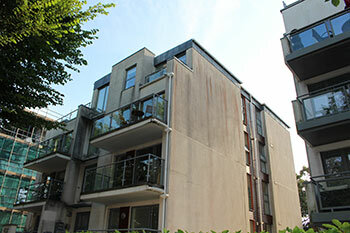 We gently and thoroughly clean your render with varying pressures of steam and get to places that others can’t! 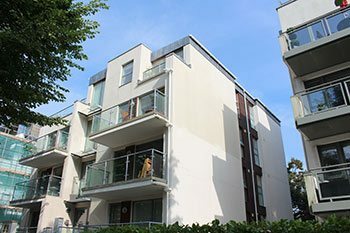 Other companies use high pressurised water which will blast your render, can damage it and penetrate the walls of your building, leaving untold future problems. 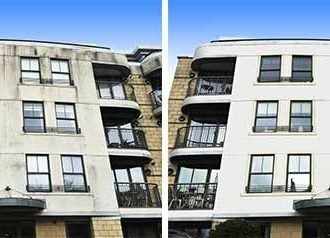 Purple Rhino’s render cleaning in Margate will ensure that your render is amazingly clean and back to it’s old beautiful self again in no time. There will be no disruption to your business, institution or home. We are an environmentally friendly company and wherever possible we DO NOT use chemicals in our render cleaning service. It’s true, first impressions do last. 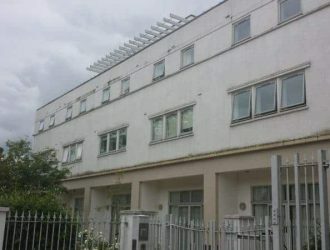 So why not make that impression a fantastic one with a super clean building exterior. 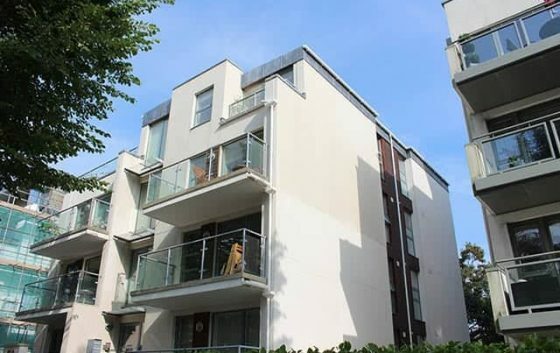 You’ll be amazed at the transformation with Purple Rhino render cleaning in Margate. Your once grimy, dirty render will be shiny and cleaned to perfection. You wouldn’t let the interior of your place lose that shine or allow dirt to build up. 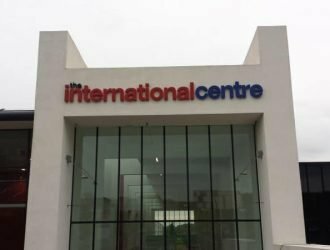 So, be proud of your building and give it that face lift that it deserves. 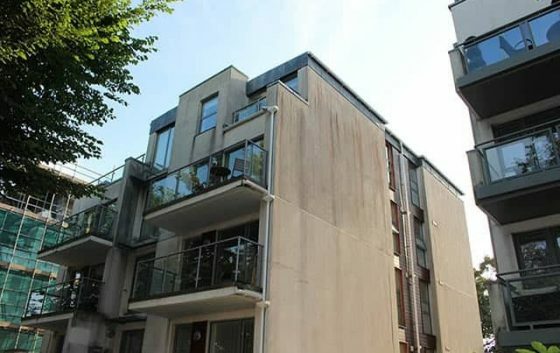 We do recommend that you don’t paint your render, it could damage it forever. A Purple Rhino steam clean is gentle and thorough, will do a better job and will save you money! Don’t leave it any longer to brighten up your building. You won’t regret it. Call Purple Rhino render cleaning in Margate now on 0800 157 7484 for your FREE test sample clean and no obligation quote.